Better Than Worksheets: TEACHING TOOLS: Non-Fiction Writing Using Tony Stead's WHAT'S THE STORY SO FAR? 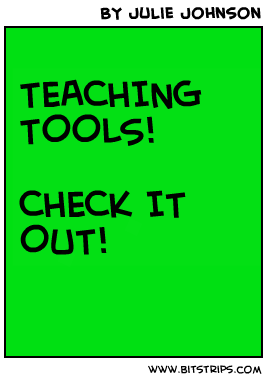 TEACHING TOOLS: Non-Fiction Writing Using Tony Stead's WHAT'S THE STORY SO FAR? Tony talked about how teachers find it is difficult for kids to research and write non-fiction without simply copying the text while note-taking. He explained an activity called What's the story so far? This activity creates a non-fiction class book in a period while teaching research skills and paraphrasing. The next day I tried this activity in my Gr. 2 classroom with regards to the Titanic. I asked my students what they knew about the Titanic (access prior knowledge). I told them I was going to read them a text about the Titanic and I was going to ask them for details about the text afterwards. I read them a fact-filled poster of the Titanic (with a few think alouds along the way concerning the text features etc). Afterwards I asked: "What is one detail you remember from the text?" The first answer I got (from Nick) was that "the bow and the stern landed 600 metres apart on the sea floor." Then I asked Nick what could I put on a yellow sticky that would help him remember that detail? I said I was tired (and a bit lazy perhaps) and that I only wanted to write one or two words. Nick said 600 metres. So I wrote that on a sticky, gave it to him, then he got up and started a line facing the class. We all called out "What's the story so far?" and Nick proceeded to tell his detail. Then I asked if anyone else remembered another detail from the story. Callisto put up her hand and said "the boat broke into 2 piece before it sank." I asked her what I could write on the sticky that would help her remember that detail. She said "2 pieces." So that got written on another sticky and given to Callisto. Callisto then stood up and she had to decide what order to stand in vis a vis Nick (in this case it was before Nick since her detail came first in the text/Titanic time line). After she took her place in line, we all shouted "What's in the story so far?" and Callisto recited her detail and Nick recited his detail. We repeated this process with students remembering details (it seemed like the most memorable ones were the most important ones), writing a short memory aid on the sticky (the note taking) and then they had to figure what order they were in on the line. Each time we chanted "What's the story so far?" and each time the people in the line recited the details one at a time in order. We ended up with about 8 details which seem to summarize the entire text. Next I paired the rest of my students (I only had 16 kids that day) with the 8 students with the stickies. Their job now was to create a page for our class book where it said the detail (in their own words) accompanied by a picture that illustrated their detail. My class was totally excited by this and really did a pretty awesome job. The book will now be part of our class library. What eventually I will be aiming is for is for each student to to complete their own book using their own topic. This lesson taught the student these skills: pulling important information from a text (research skills), creating a note to remember it (note-taking), putting it in order (organization) and it gave them practice in paraphrasing. I have never been that big into class books because it seems to take forever to get them done and together. This entire book was done in 1 period.